Yammerin' about TV and junk! Classroom Confessions: I teach 8th Grade. Things get weird. 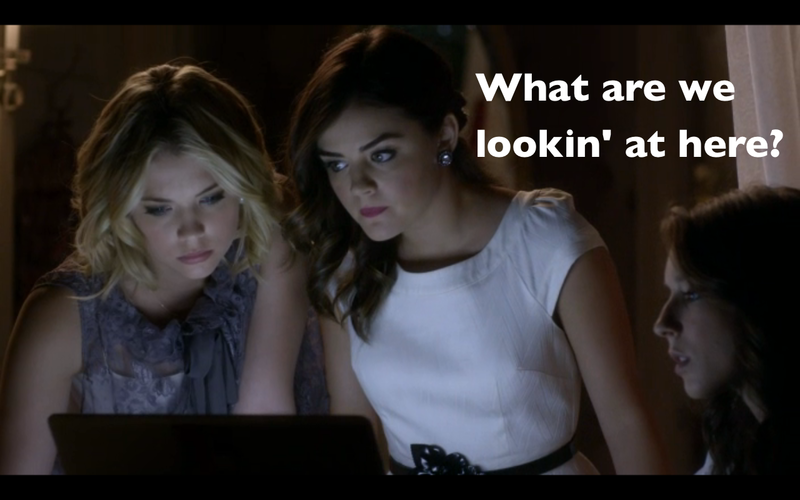 This week, the liars are on a mission to piece together the clues Mona has given them. 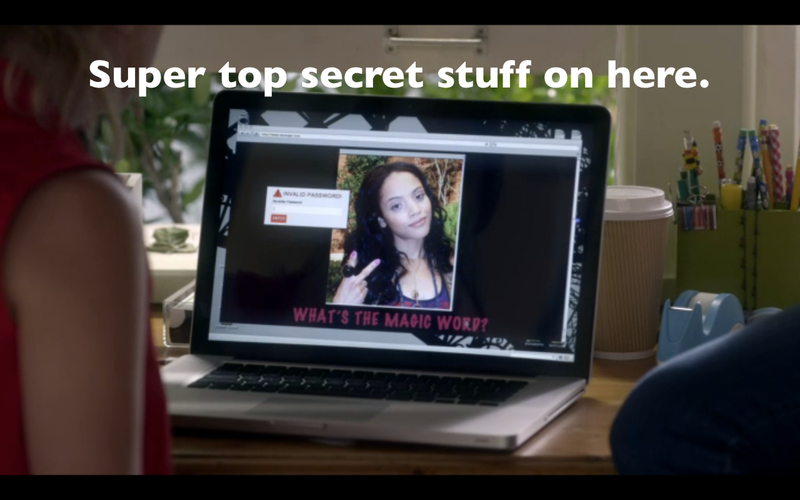 Maya’s mystery website could hold answers, but her password is obstacle number 1. 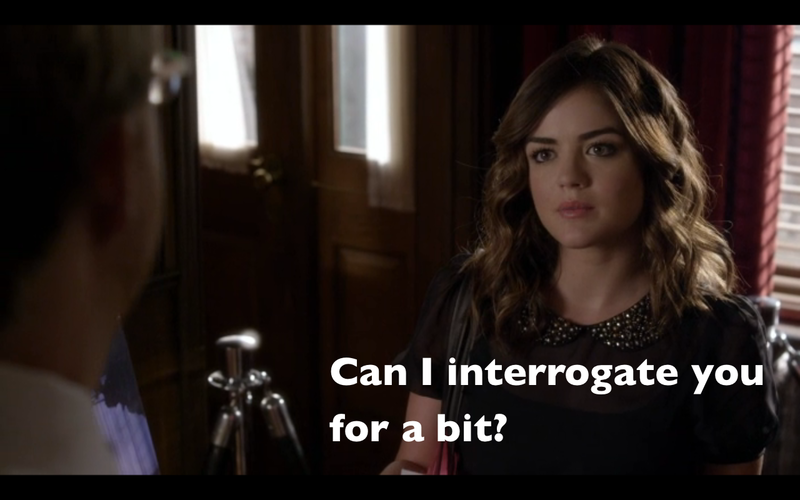 At the Montgomery household, things are still a bit dodgy between Aria and her dad. I mean it. 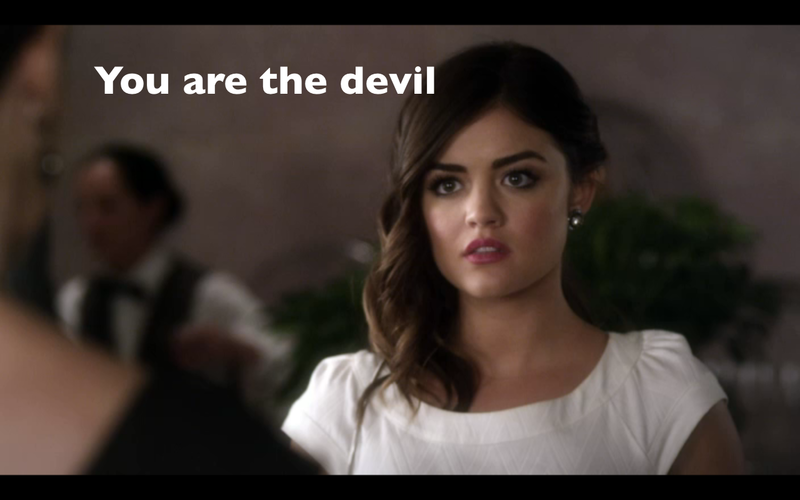 Aria can hardly stand to look at him, let alone have a civilized conversation. Of course dropping bombshells, doesn’t really help the situation. 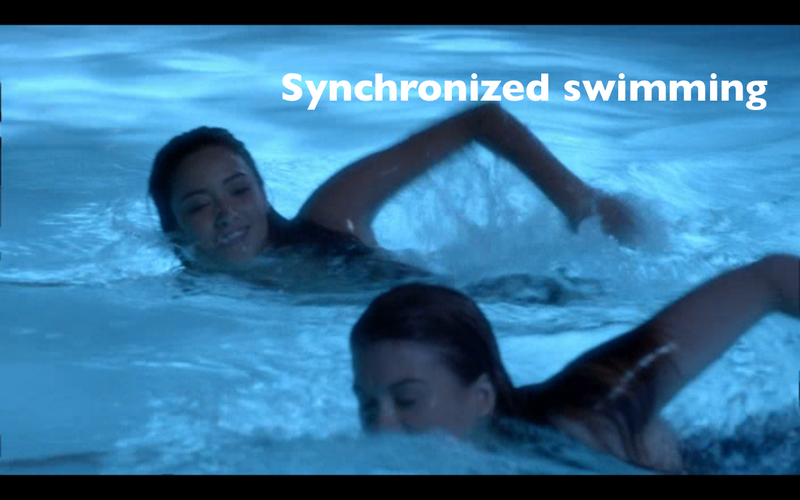 Aria, handles it like a champ and storms off with her head held high. Atta girl. 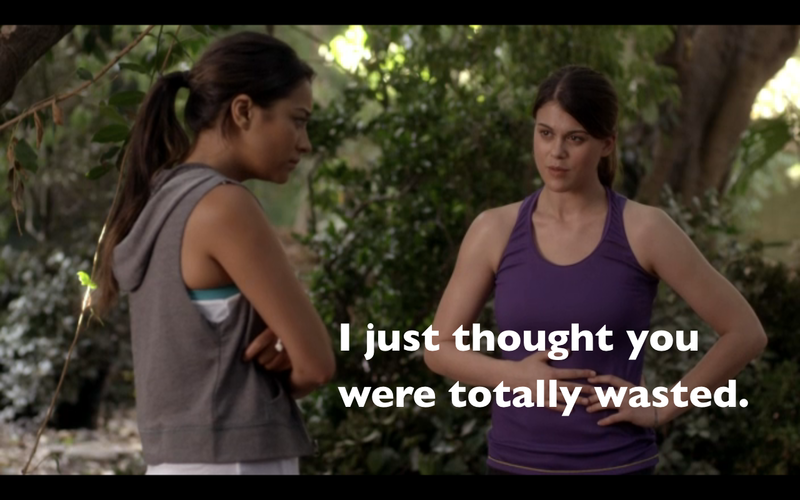 Meanwhile, Emily has agreed to meet Nate at the boat house, way out in the middle of nowhere, where she and Maya liked to go to escape it all? I don’t know. I don’t remember this place. 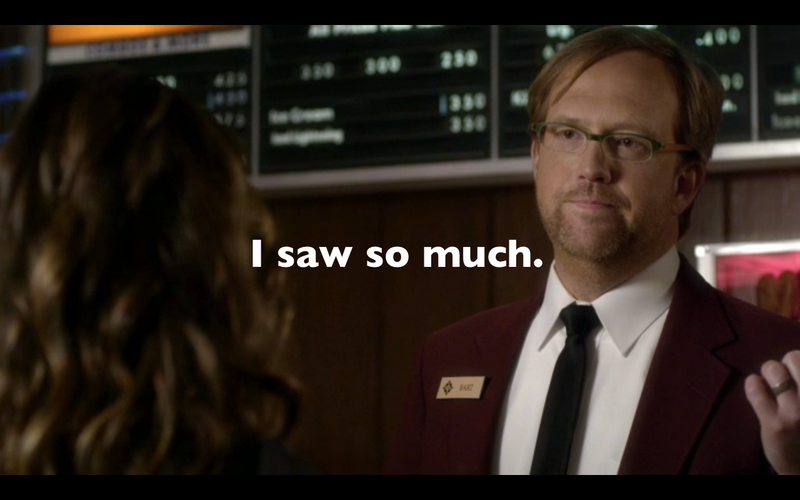 Nate acts super sketchy and basically tells Emily that he never understood murderers until he laid eyes on Garret. Now he daydreams about it basically. 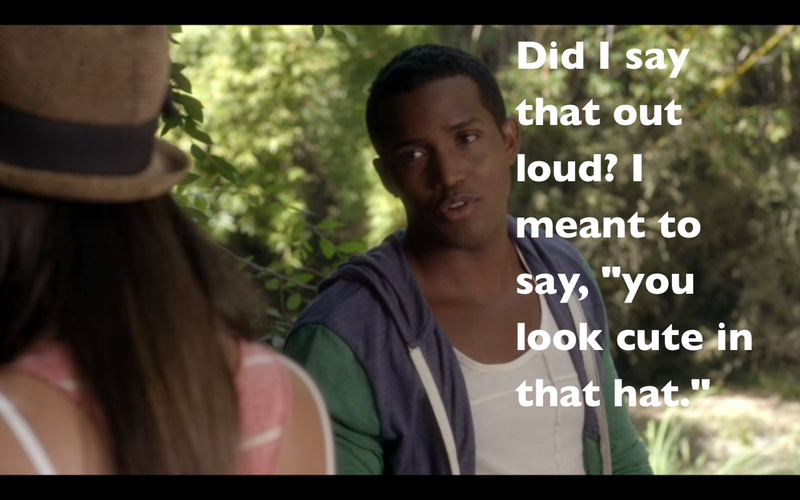 Nate tries to make her feel at ease, but it’s a little too late. 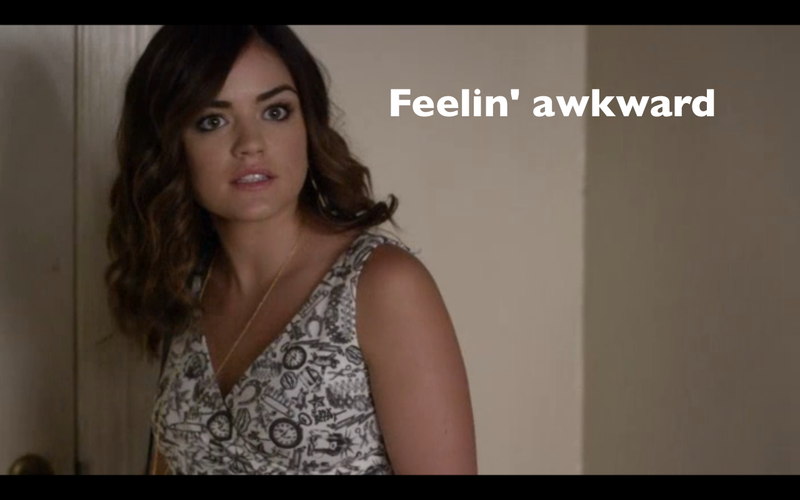 Then Aria shows up at Ezra’s all cute and flirty, but he has company. It’s Ms./Mrs. Fitzgerald- I’m not really sure. Ezra’s parents are divorced, but he and his mom still have the same(ish) last name, even though her family name is Springer? I don’t know. What I do know- this woman is up to no good. Ezra looks very uncomfortable and is not very thrilled about Mom’s visit. Aria is super polite and is enthralled by this classy broad. After extending a mandatory invitation to an art exhibit, that Mrs. Fitzgerald has thrown together, she leaves. Aria is thrilled at the chance to get to know the fam. 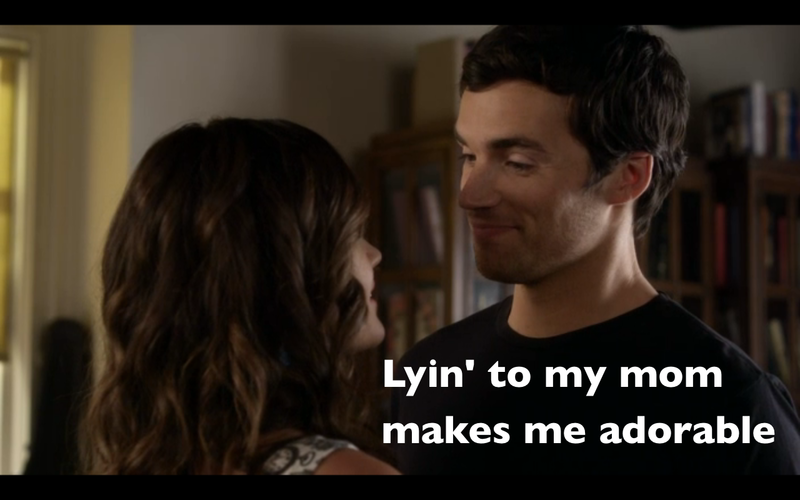 Ezra, not so much. He admits that he’s only told his mother the half-truth about when they started dating. 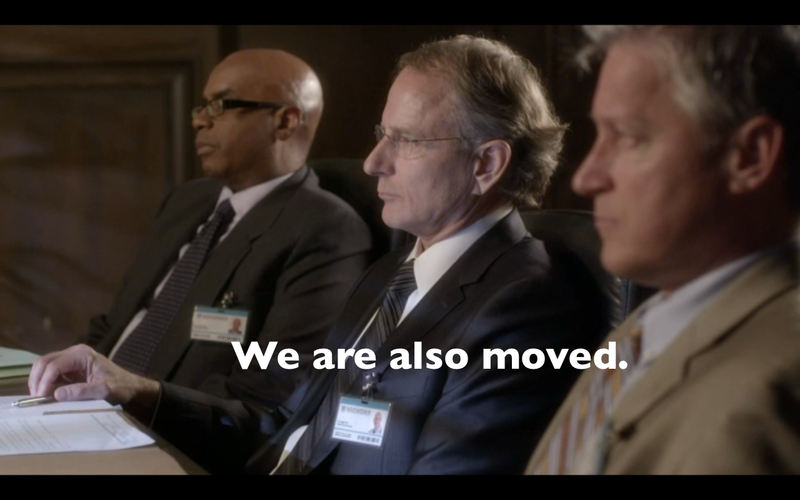 Back at the Hastings’ abode, Spencer and Hanna are still trying to get into Maya’s website. 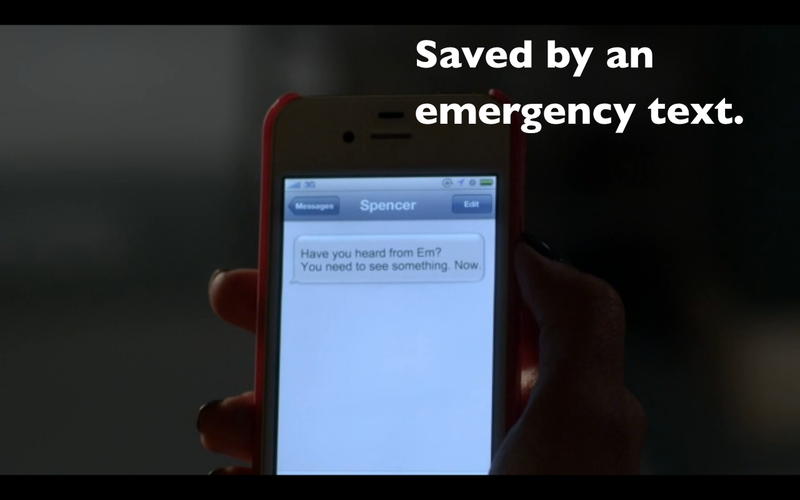 Luckily, Spencer is super smart and a great problem solver. 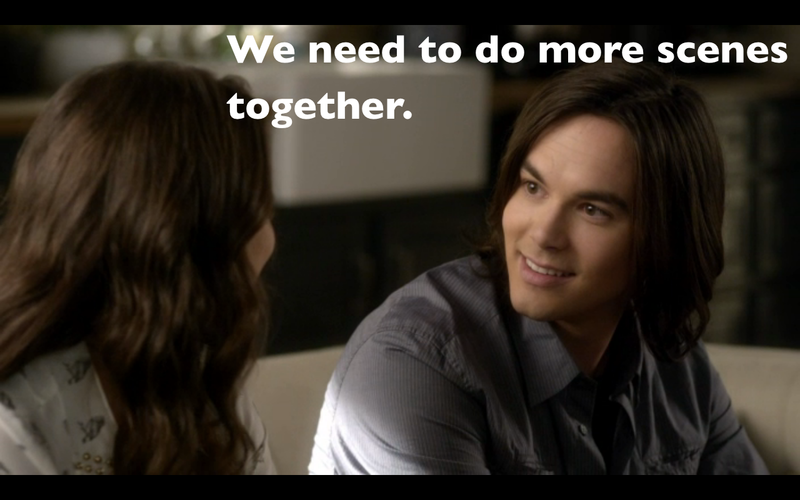 Just when the girls agree to ask Caleb for help, Toby shows up with his underwear in a bunch. 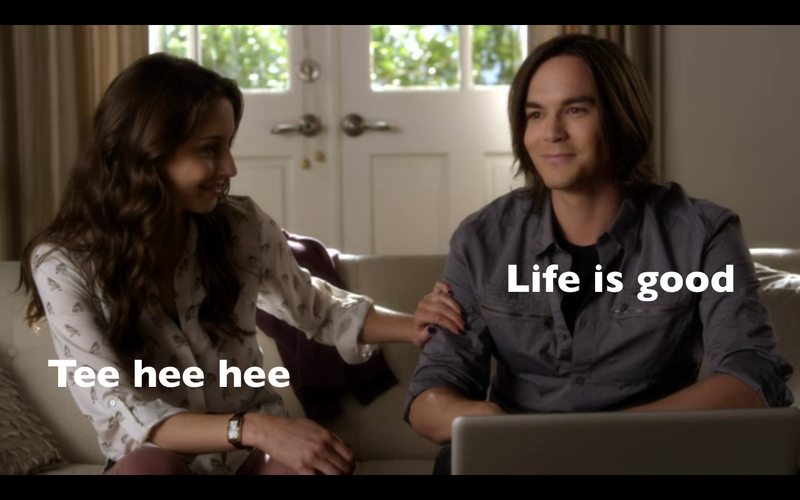 Hanna tries to keep things light, but Toby isn’t having it. 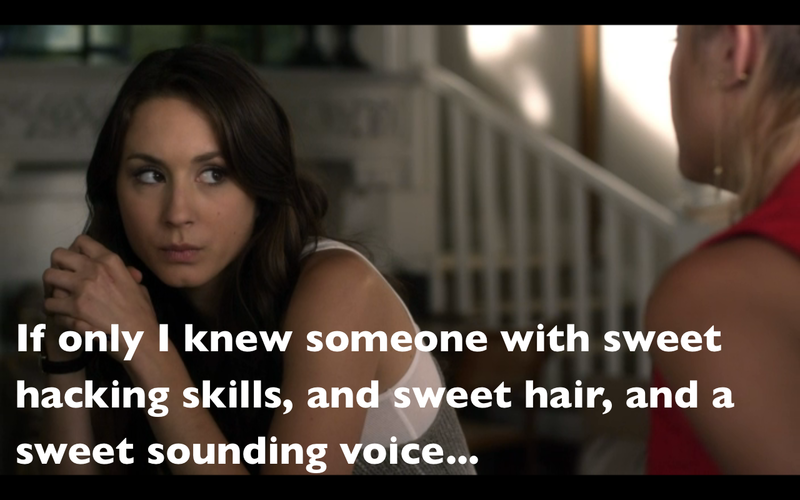 Toby helped Spencer cover up Jason’s drunk driving fiasco, and is now super pissed that he’s nowhere to be found. 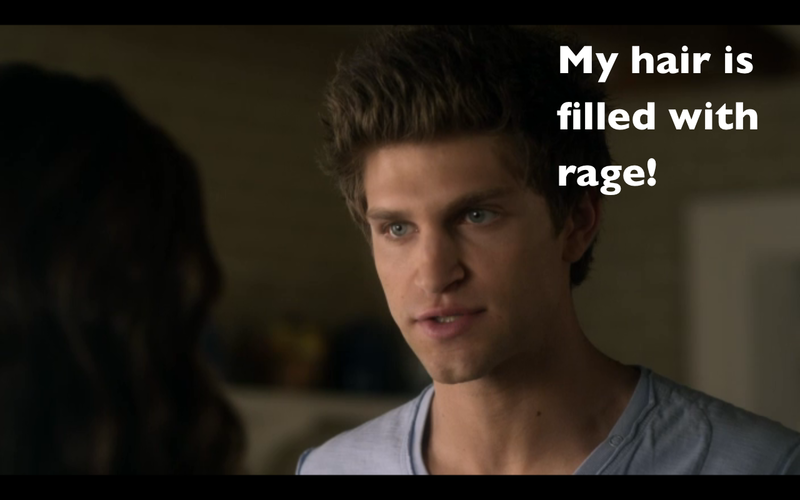 Rightly so, Toby is tired of Spencer’s lies and wants answers. After saying his piece, Toby, and his hair, storm out on a mission of their own. 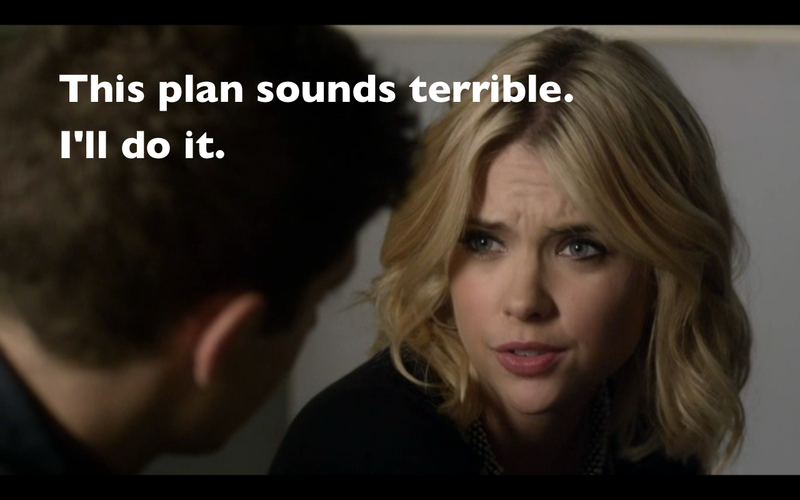 Hanna also has a mission of her own. 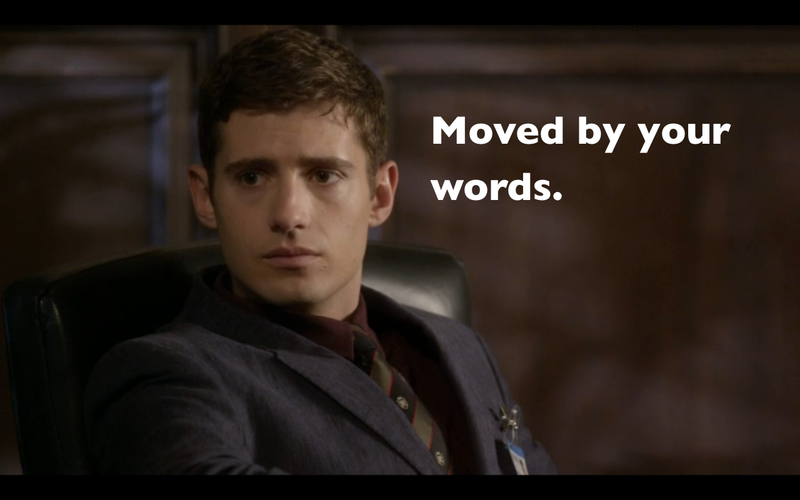 Wren asked to meet with her to talk about Mona. Apparently Mona’s outbursts and medicine smuggling have earned her a ticket on the crazy train to a bigger badder sanitarium in New York. 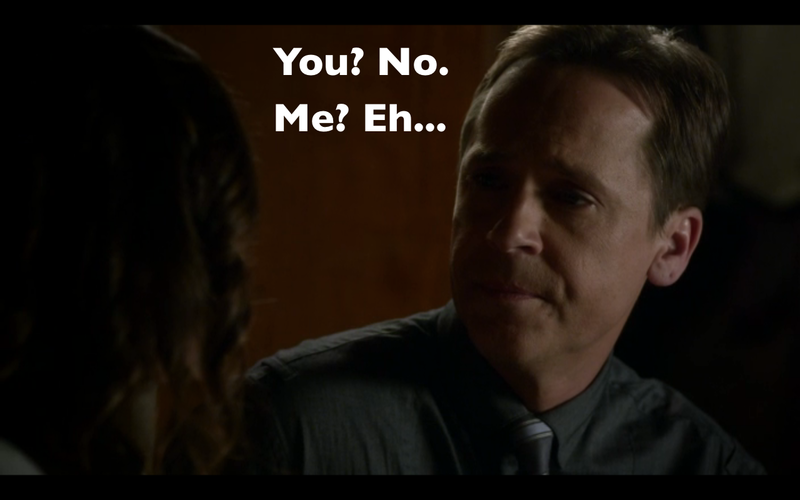 While some people on this show are great at keeping secrets hidden, Mrs. Hastings? Not so much. 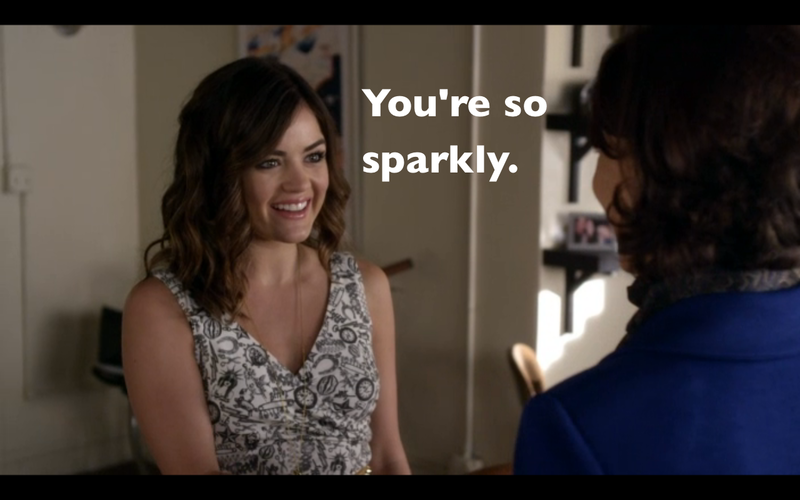 Aria drops by Spencer’s to borrow a classy get up for the art gala, and the girls stumble upon Mrs. H’s briefcase full of top-secret court documents. 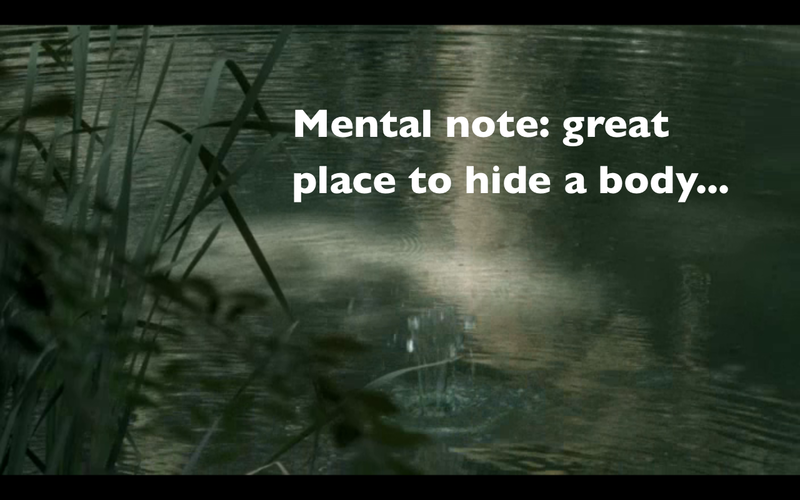 Immediately, the girls go into super detective mode. 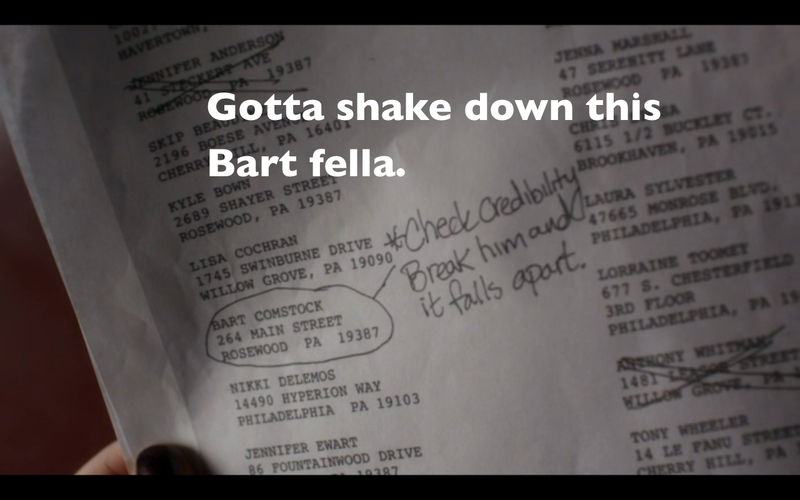 In the files, the girls discover the witness list, and, based on Mom’s notes, it looks like this Bart guy knows something. 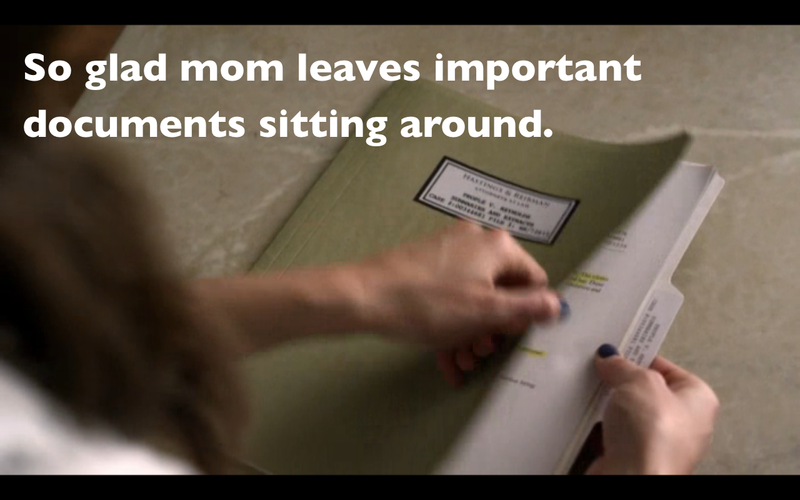 While these two are unraveling clues, Emily gets some information as well. 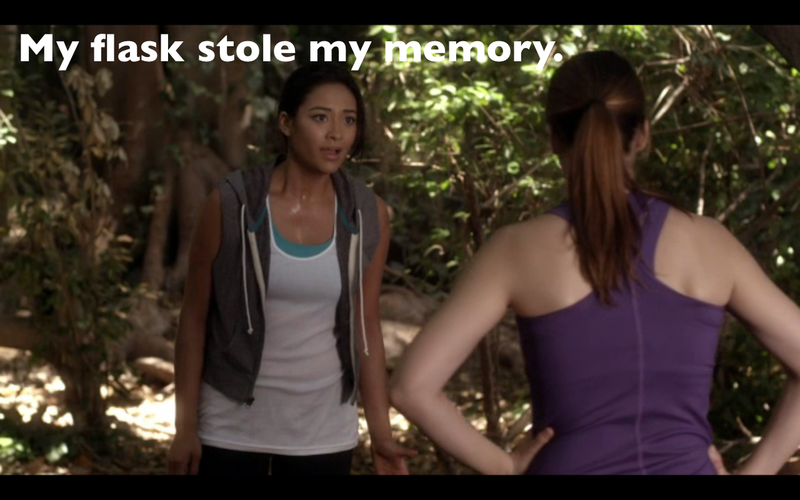 After jogging out to the middle of nowhere, Paige decides it’s safe to tell Emily the truth about the night her memories got “flasked”. 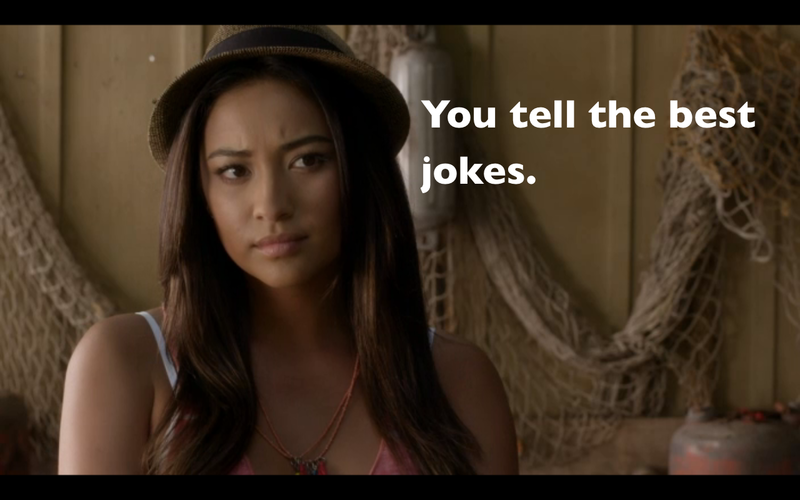 It turns out, that on the night of Alison’s grave robbery, Emily had shown up on Paige’s doorstep all drunk and disorderly. Taking it as a sign, Paige had invited her in for a little make out session, but soon realized Emily had been drugged. 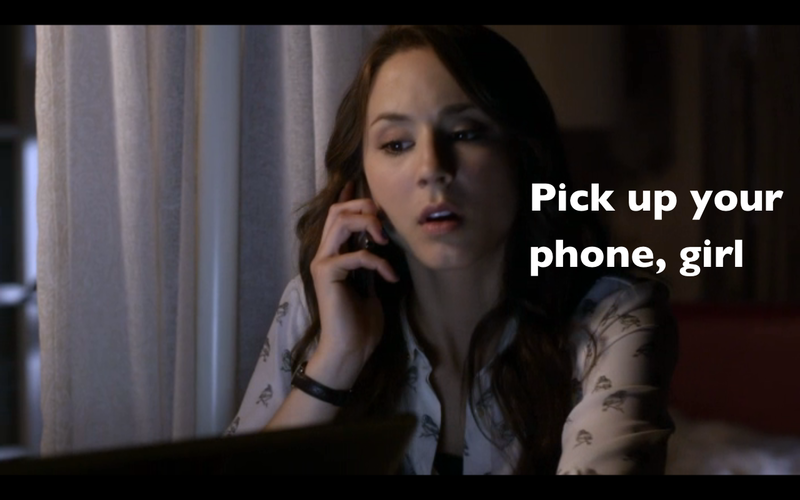 While Paige disappeared to call 911 get her a drink of water, Emily disappeared from the house. Out of shame, Paige had kept these details a secret. 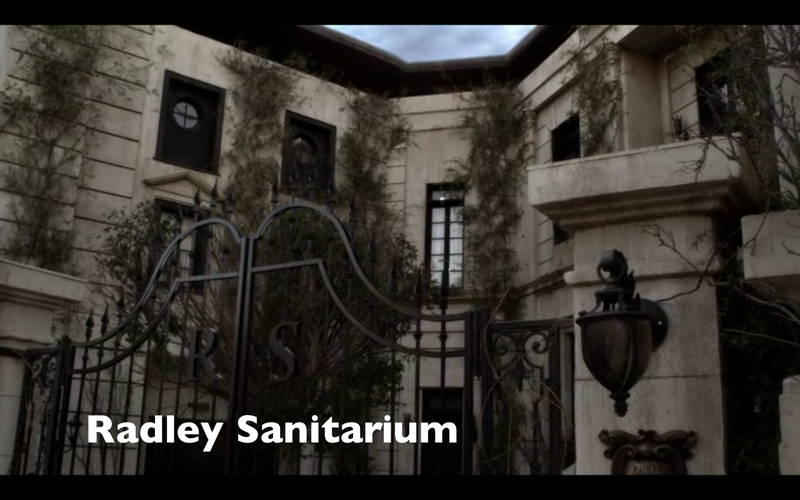 At Radley Sanitarium, there has been a hiccup in “Operation Mona”. 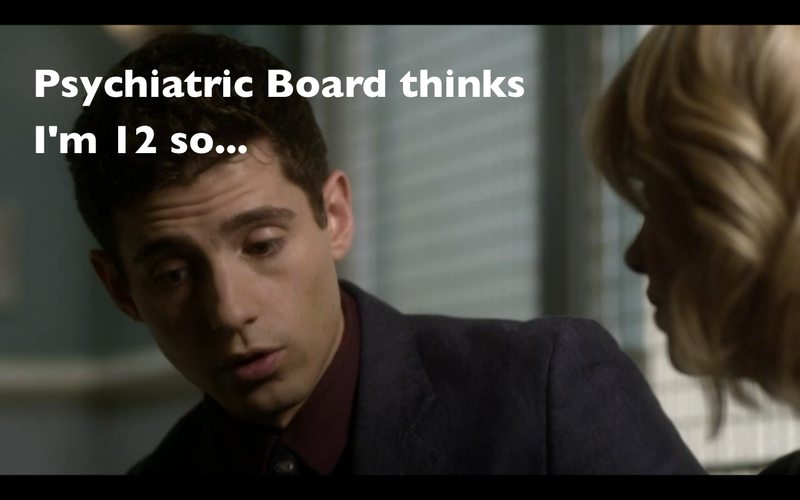 It turns out that Wren’s professional recommendation for Mona is not going over too well with the Psychiatric board. 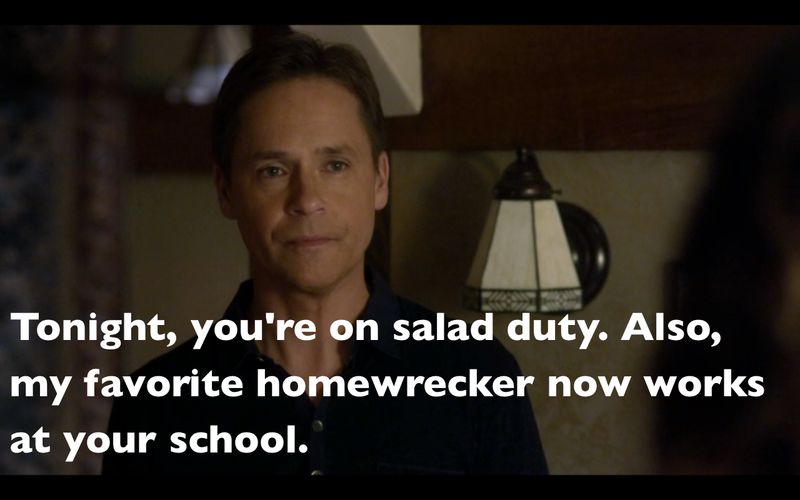 Wren thinks the board could make a more informed decision after hearing the recommendations of Mona’s 17-year-old high school friend. 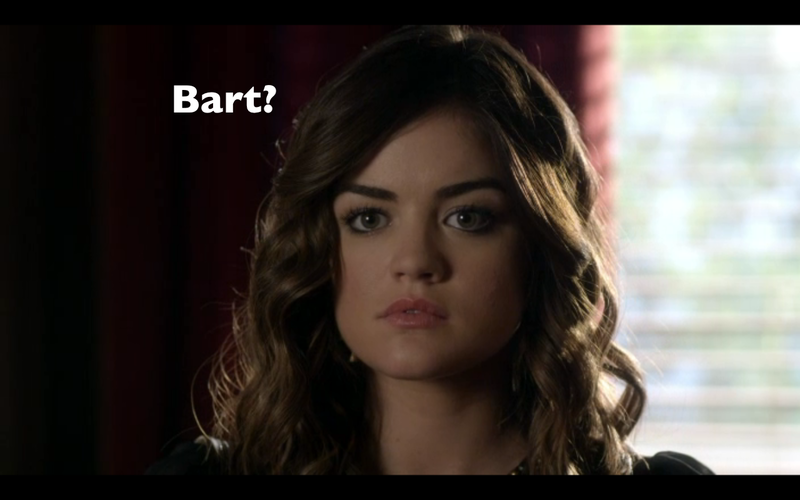 Across town, Aria drops by the theater to shake Bart down. It turns out that Bart really remembers Maya because she was a real looker, and who could forget a face like that. 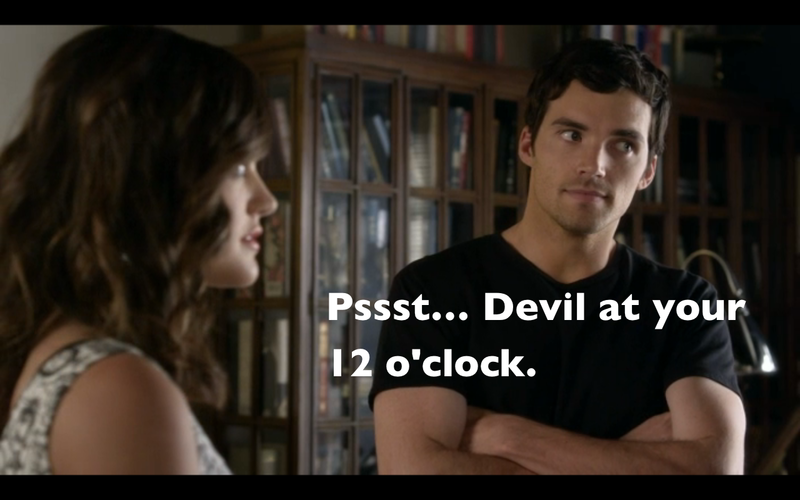 He quickly tells Aria all that he knows. 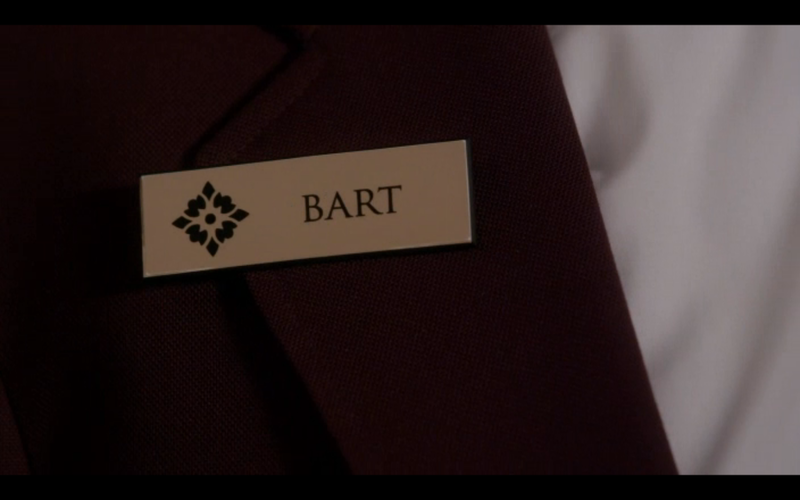 Bart is pretty sure he saw Maya getting into Officer Garret’s car the night she was murdered. 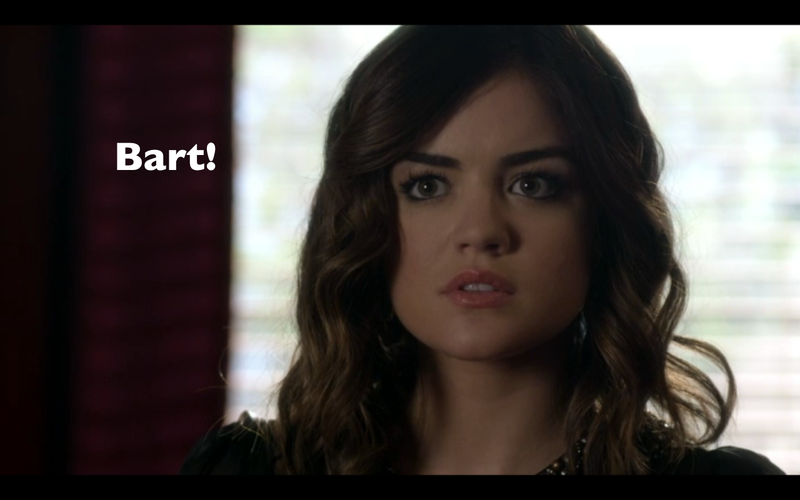 Aria cannot believe what she is hearing. 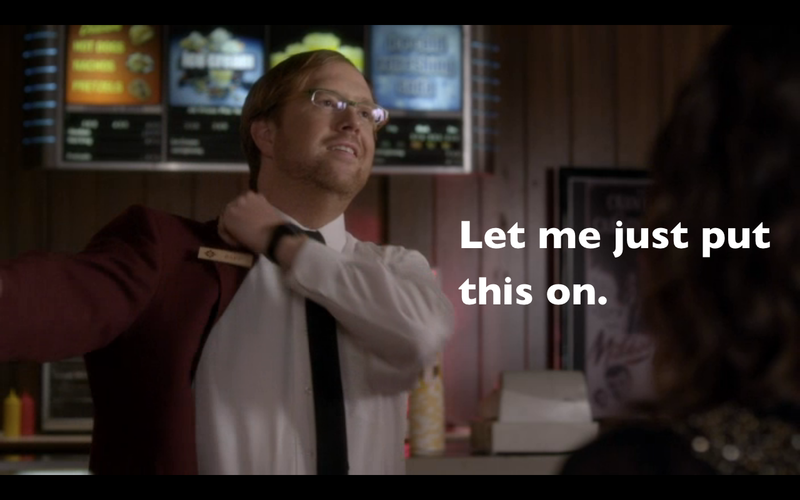 Back at Spencer’s, Caleb is working his magic. And can I just say- these two together? I approve. 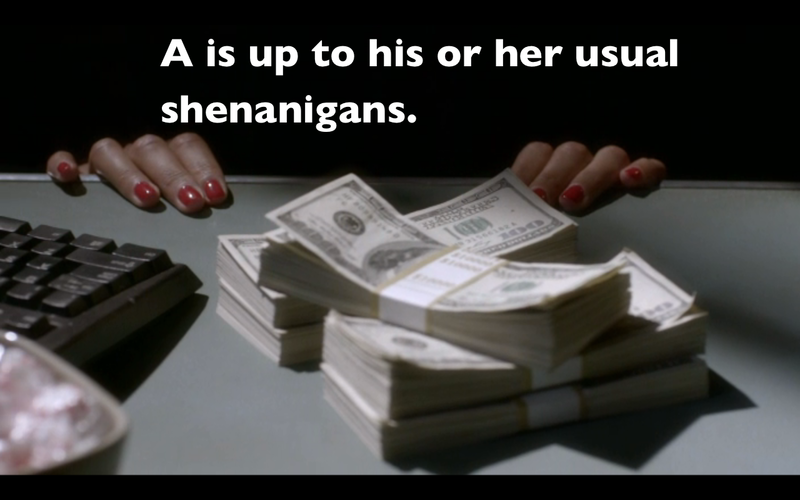 Shakin’ things up on PLL. Spencer and Caleb are in and they are super excited. 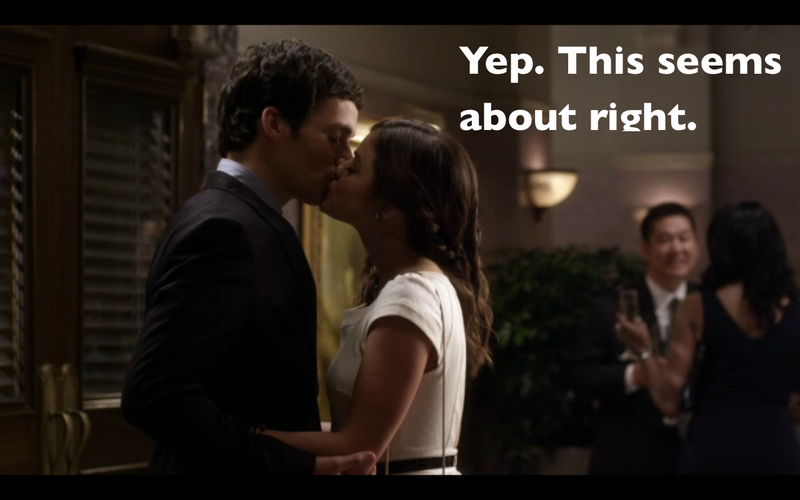 Elsewhere, in a world that is much more sophisticated, Aria and Ezra arrive at the art gala. 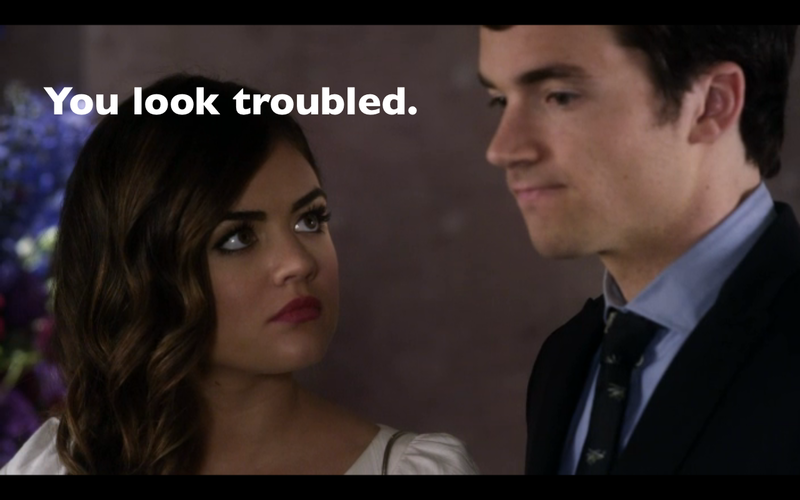 Aria knew Ezra wasn’t thrilled about spending time with his mother, but can’t help but wonder if she is missing something. 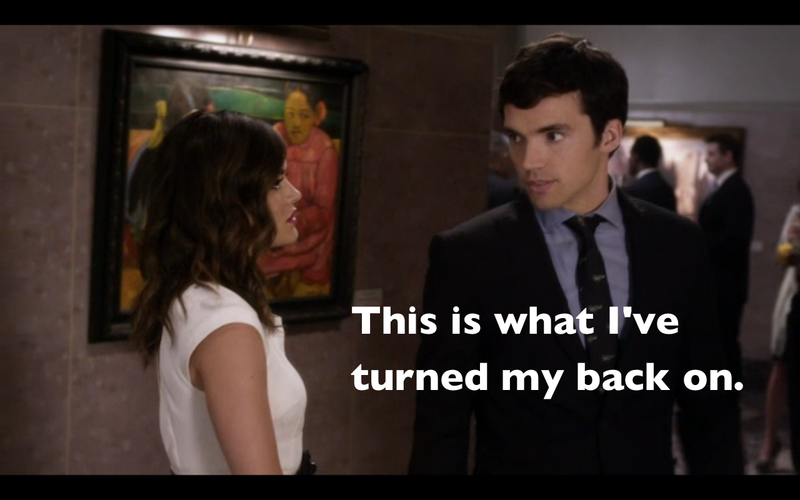 Ezra comes clean and tells Aria that all of the art on display belonged to his grandparents and that his family has MONEY. Out of disapproval over the lifestyle of the rich and stuck up, he chose to sever ties with his family. Seriously, folks. I think these two have weathered far more treacherous storms. Oh wait. I forgot about this lady. 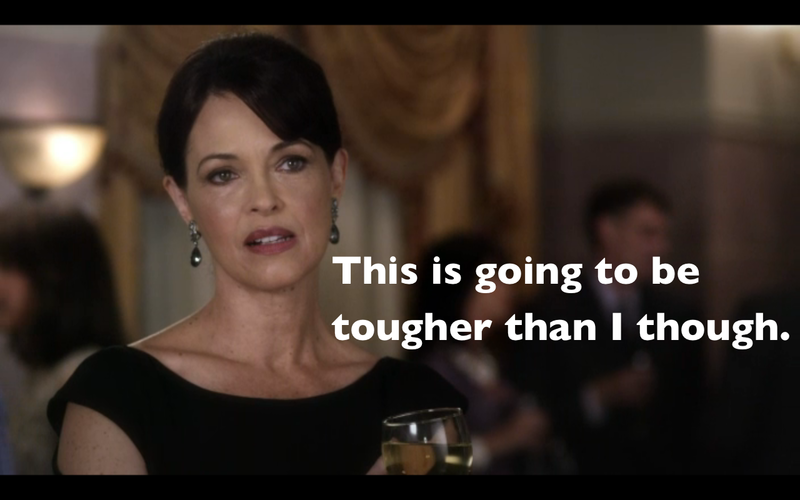 Mrs. Fitzgerald is clearly not an Ezria shipper. 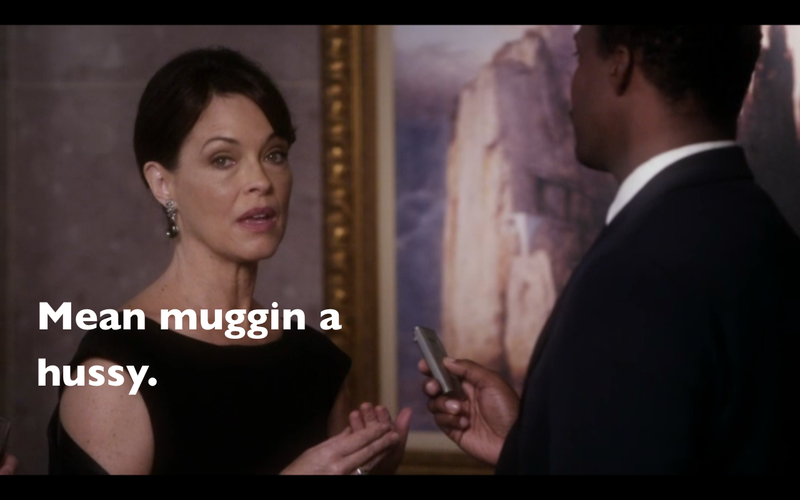 As soon as Aria is left alone to admire the art, Momma Fitz moves in. At first she is all smiles and whatnot, but soon, her true colors are revealed. It seems that Mrs. Fitzgerald is quite comfortable using her money to buy people off. 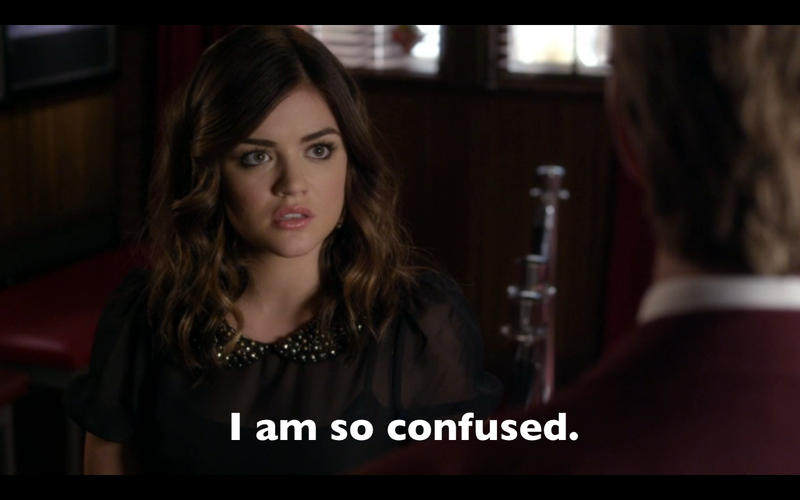 Also, she must have hired a PI, or Binged the crap out of Aria’s family, because she seems to know everything. 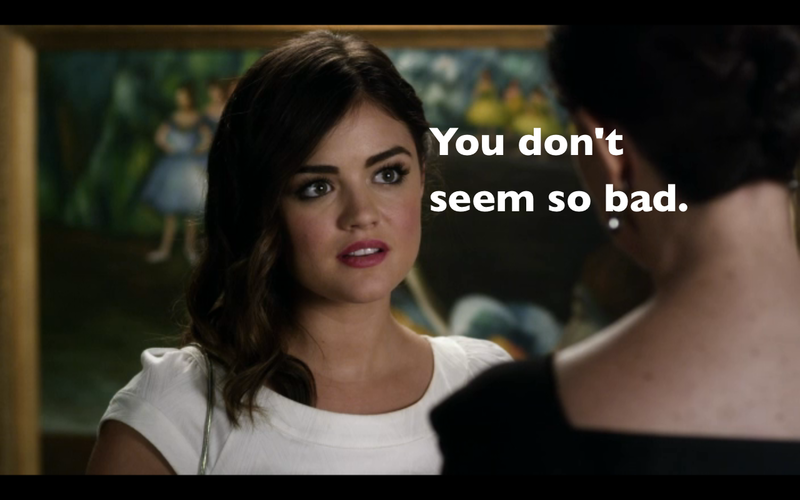 She then scolds Aria for ruining her son’s life and tells her she’s nothing but trouble. 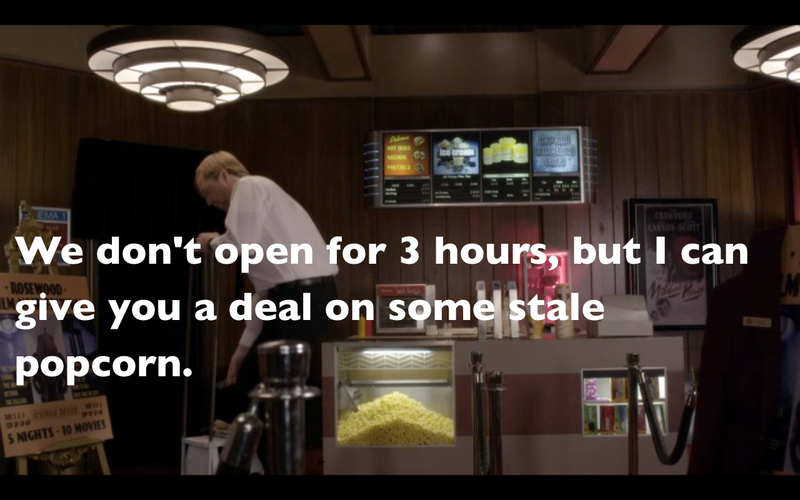 When she asks Aria to name her price, Aria is floored by the audacity of this woman and makes a quick getaway. Ezra is none too pleased with his mother’s shenanigans. 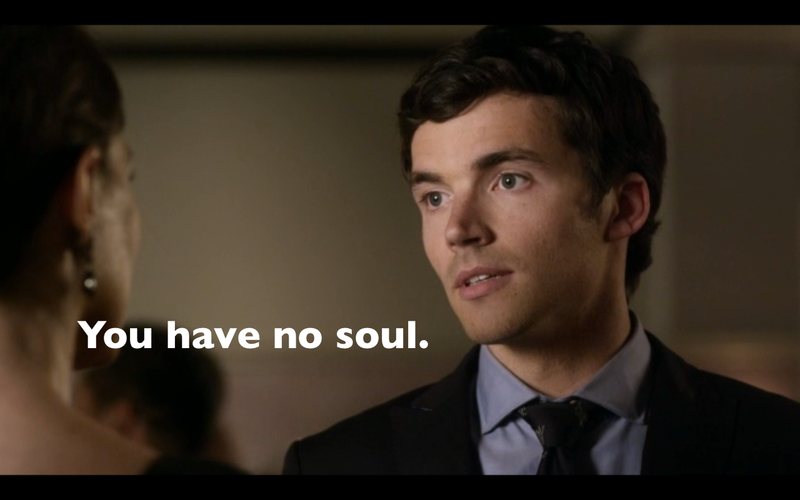 In his Ezra-like way, he tells her off. 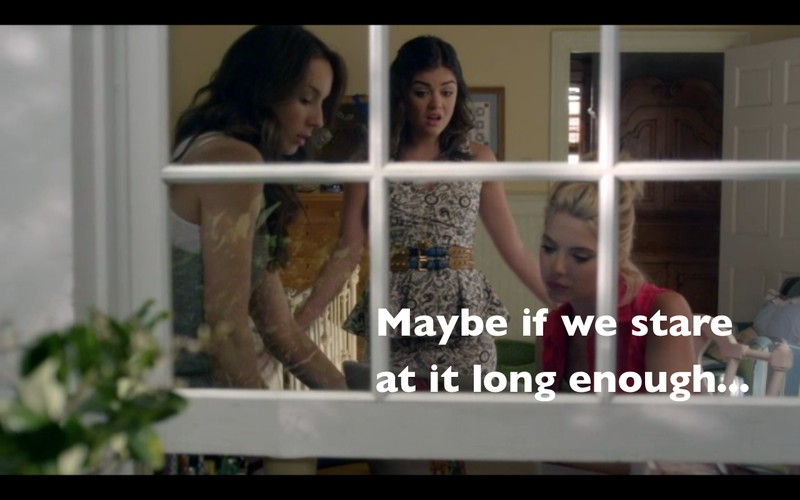 Inside the Radley Psychiatric Board meeting, Hanna is not faring too well. She’s pulling all the stops by diving into her summer vocab list, but is making little headway. Finally she decides to speak from the heart. 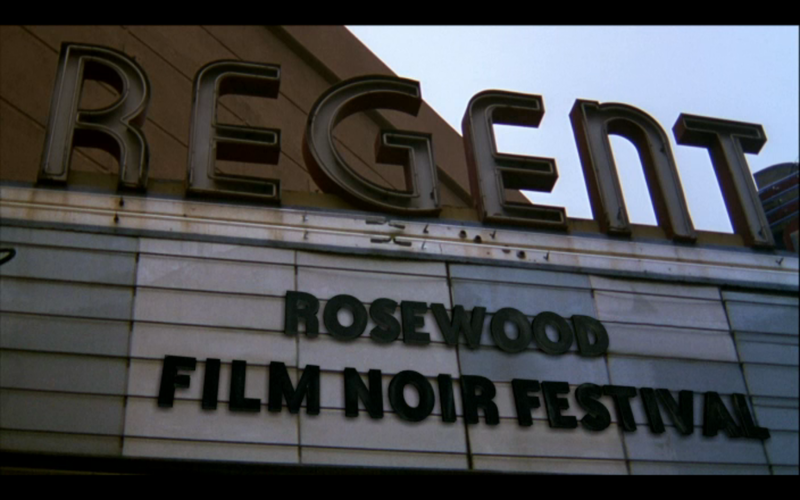 She explains how she and Mona used to be at the bottom of the Rosewood High totem pole, but after some fierce studying of Cosmo Girl, they managed to rise to the top. 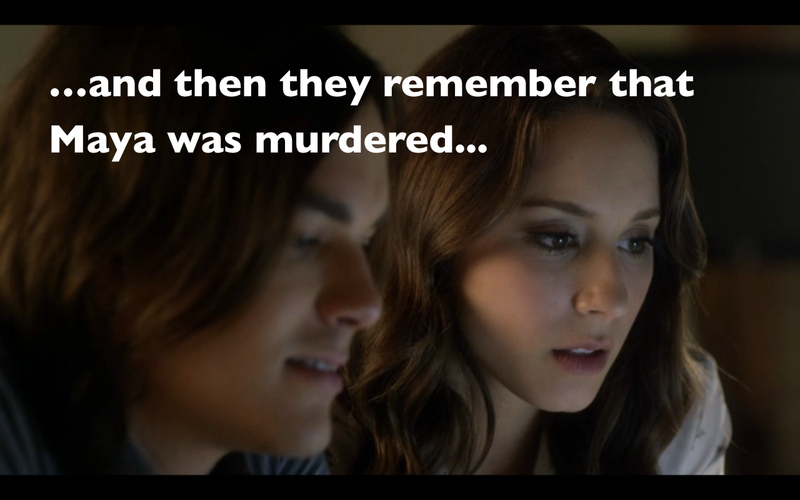 Only, Mona couldn’t deal with the pressure of popularity and cracked. 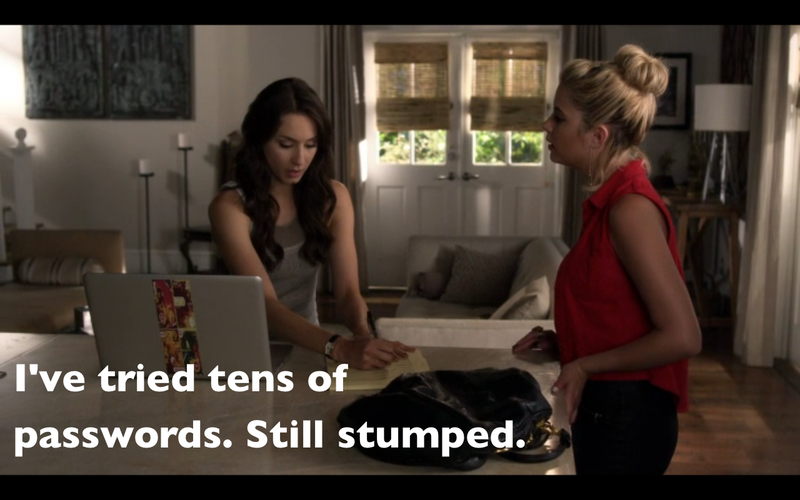 It turns out Hanna is not the only one speaking from the heart. 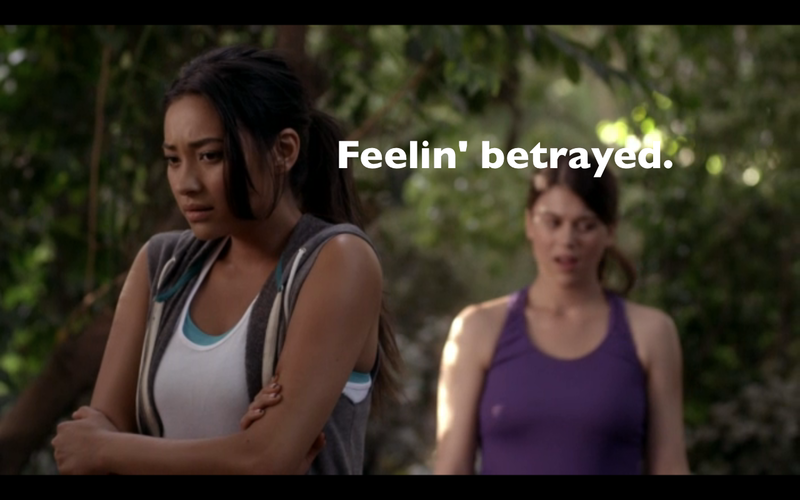 Emily drops by Paige’s house to come clean about her feelings. 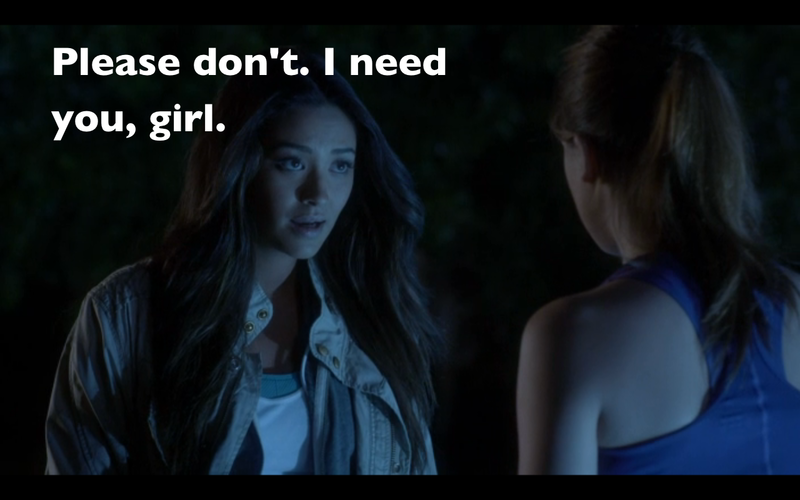 She’s come to the conclusion that she ended up at Paige’s house that night because she truly did have feeling for her. 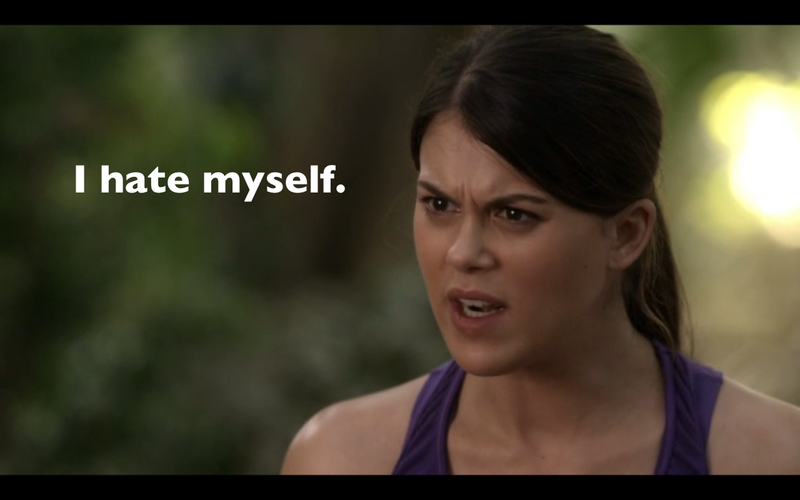 Paige still feels guilty about her actions and is angry at the mystery person who slipped the drugs into Emily’s flask. Back at home, Aria is not doing so well. Mrs. Fitzgerald’s words have really gotten to her. 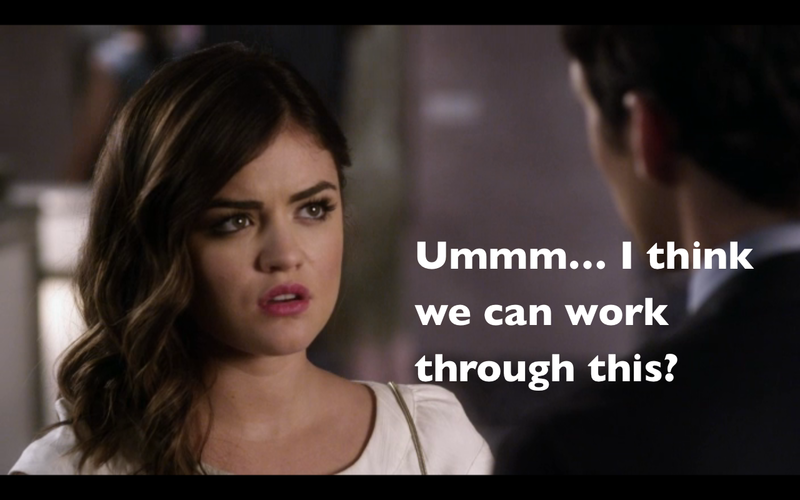 She can’t help but think Ezra would be better off without her. Byron, seeing that his daughter is clearly upset, stops in to comfort her. 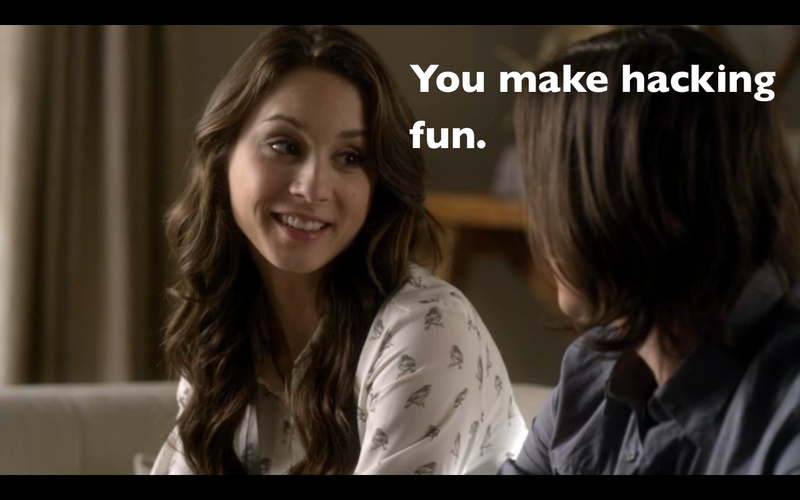 Things are also working out for Hanna and Wren. 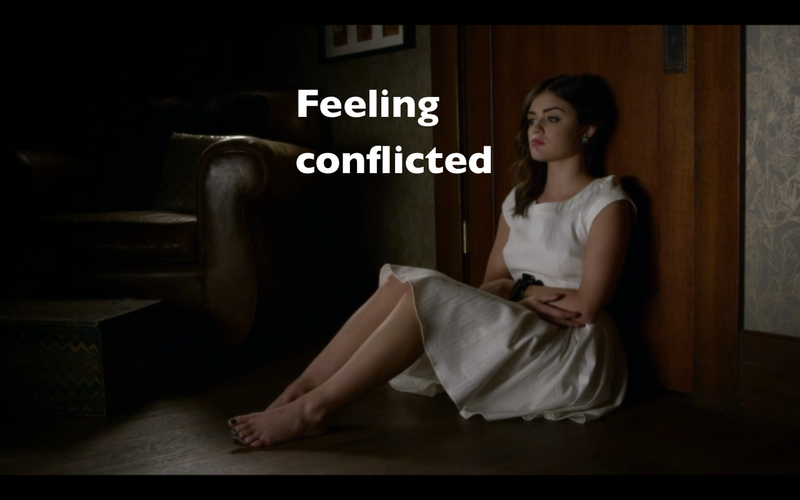 Turns out the Psychiatric Board could totally relate to Hanna, and decided to keep Mona around. 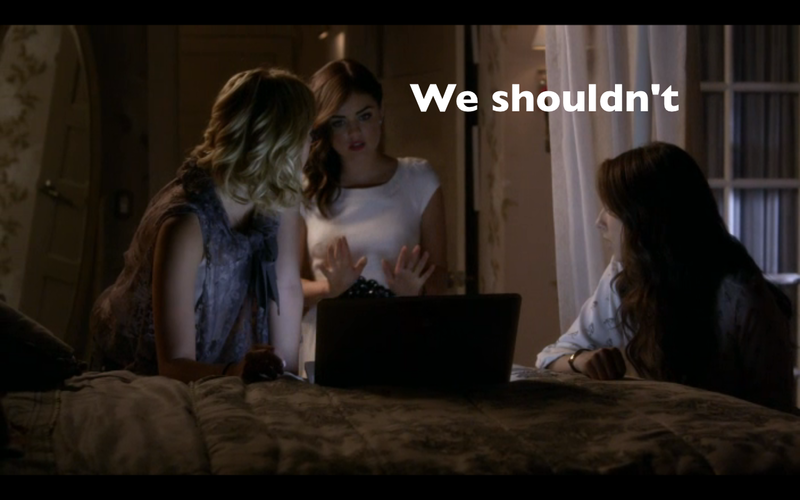 Luckily Aria and Spencer need Hanna to come look at Maya’s website. 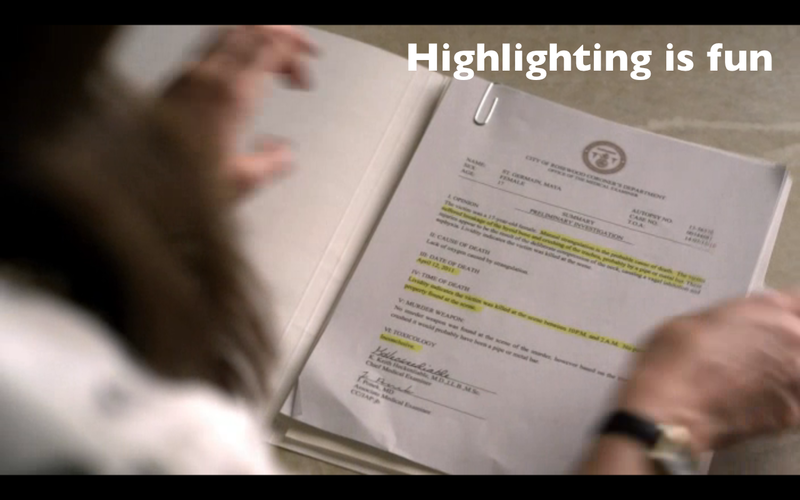 Now that Caleb has gotten them in, they have hundreds of files; all possibly containing potential clues. The more they pry into Maya’s personal videos, the more awkward these girls feel. 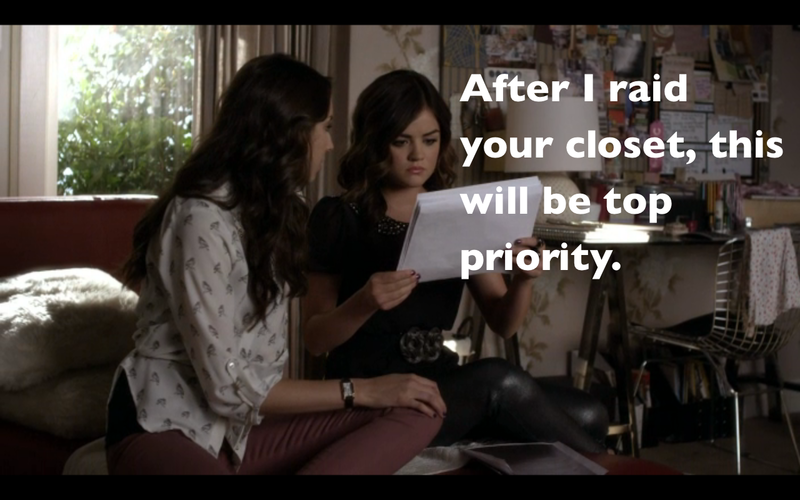 Hanna, however, is determined to see where the clues lead. Then a video pops up revealing a clearly terrified Maya. 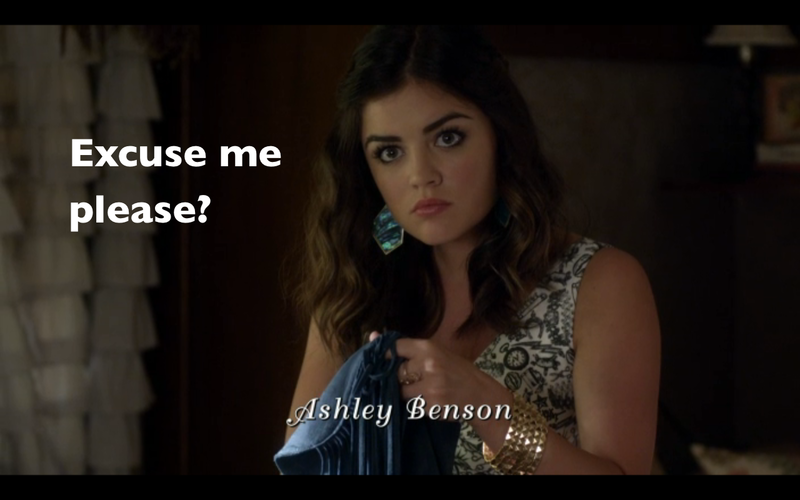 Before the girls can watch it, they agree that they need to tell Emily what they’ve found. Unfortunately, Emily is otherwise occupied and can’t hear her phone. 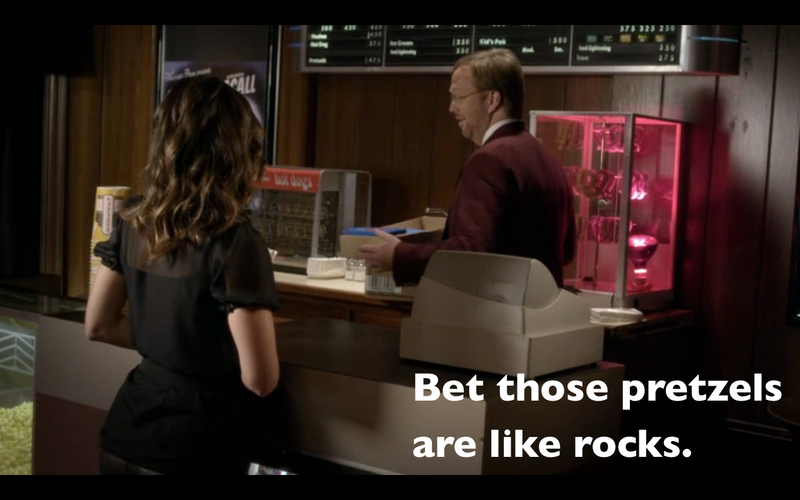 Then we are left with A, who shows up at a bank covered in head-to-toe black, including a hoodie… you know, typical banking attire, with some serious Benjamins. 1.) Will we get to see the video that had Maya terrified to the core? 2.) With Nate and Paige both so willing to jump on the murdering bandwagon, will either one of them ever get to look their tormentor in the eyes? 3.) 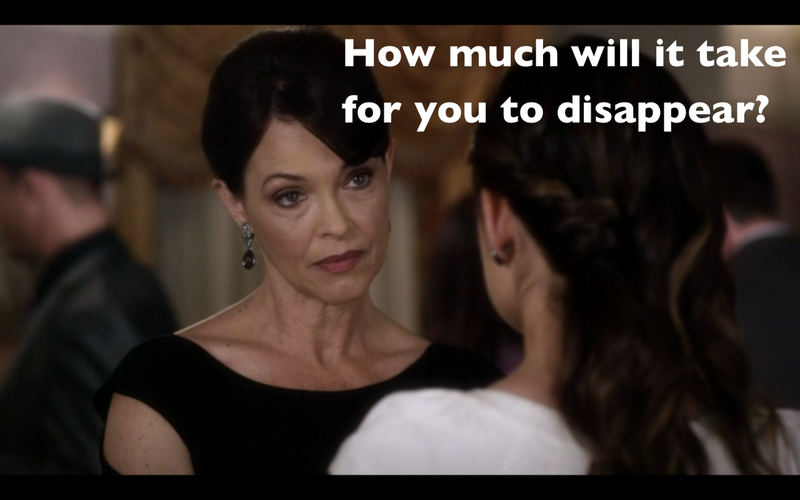 Just how much time and energy is Mrs. Fitzgerald willing to dedicate to sinking the Ezria ship? 4.) 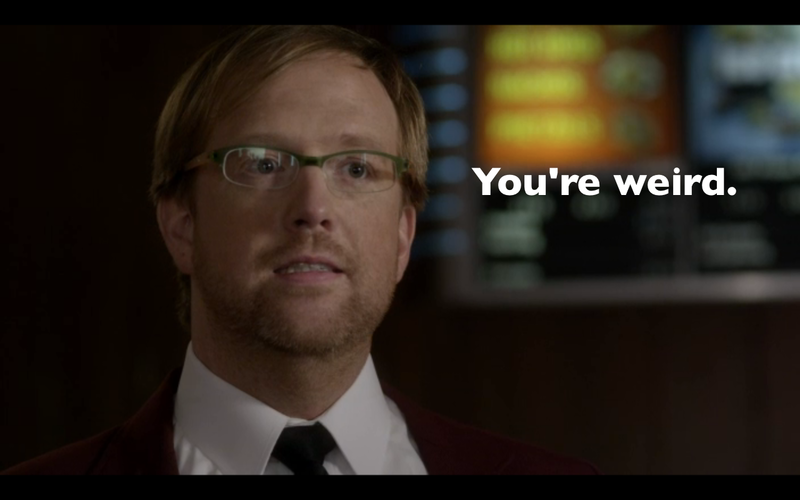 Does Meredith stand a chance at becoming Rosewood High’s teacher of the year? 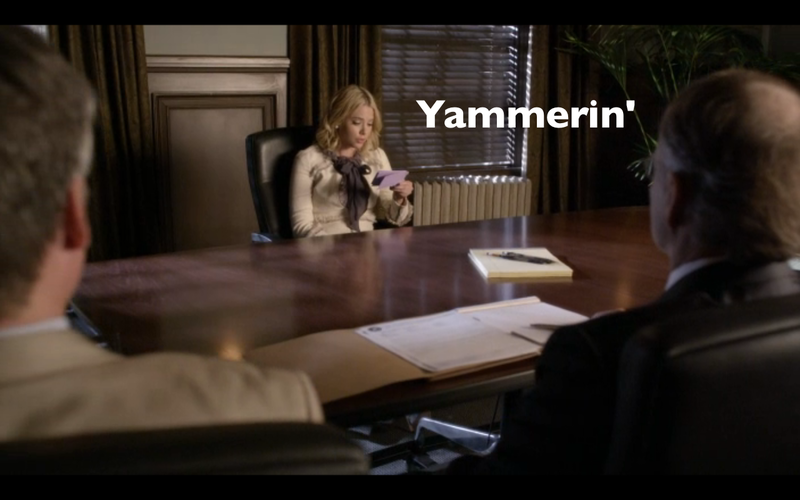 Well, enough of my yammerin’. What are your thoughts this week?